Before adding your first product, let’s get familiar with how product categories, tags, and attributes work. 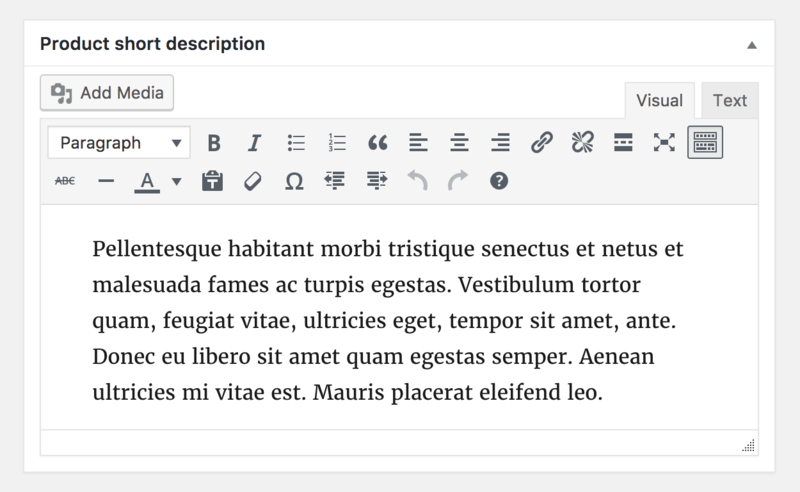 Product categories and tags work in much the same way as normal categories and tags you have when writing posts in WordPress. They can be created, edited, and selected at any time. This can be done when you first create a product or come back and edit it or the category/tag specifically. These can be added per product, or you can set up global attributes for the entire store to use (e.g., in layered navigation). Simple – covers the vast majority of any products you may sell. Simple products are shipped and have no options. For example, a book. Grouped – a collection of related products that can be purchased individually and only consist of simple products. For example, a set of six drinking glasses. Virtual – one that doesn’t require shipping. For example, a service. Enabling this, disables all shipping related fields such as shipping dimensions. 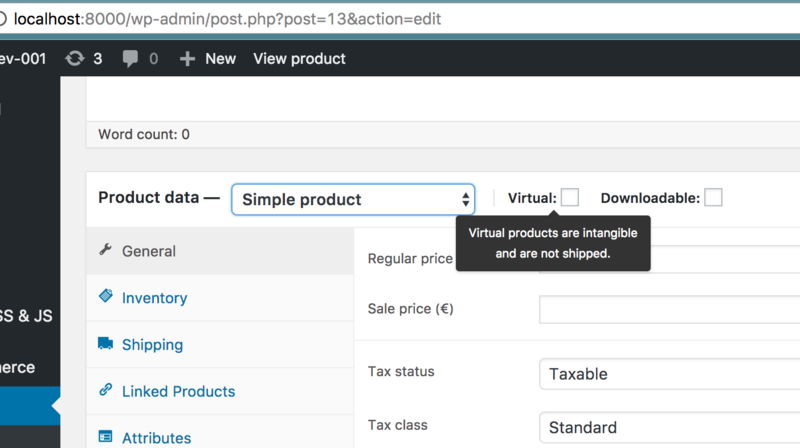 A virtual product will also not trigger the shipping calculator in cart and checkout. Downloadable – activates additional fields where you can provide a downloadable file. After a successful purchase, customers are given a downloadable file as a link in the order notification email. This is suitable for example for a digital album, PDF magazine, or photo. External or Affiliate – one that you list and describe on your website but is sold elsewhere. Variable – a product with variations, each of which may have a different SKU, price, stock option, etc. For example, a t-shirt available in different colors and/or sizes. Go to WooCommerce > Products > Add Product. You then have a familiar interface and should immediately feel at home. Go to the Product Data panel, and select downloadable (digital) or virtual (service) if applicable. Note: Virtual products don’t require shipping — an order with virtual products won’t calculate shipping costs. SKU – Stock keep unit (SKU) tracks products. Must be unique and should be formatted so it does not match any post IDs. For example, post IDs are numbers so a SKU could be WS01. That could stand for WooShirt 01. Sale Price – Item’s discounted price that can then be scheduled for certain date ranges. The sale expires at 11:59pm of the specified end date. The inventory section allows you to manage stock for the product individually and define whether to allow back orders and more. It enables you to sell products and allow customers to add them to the cart to buy. 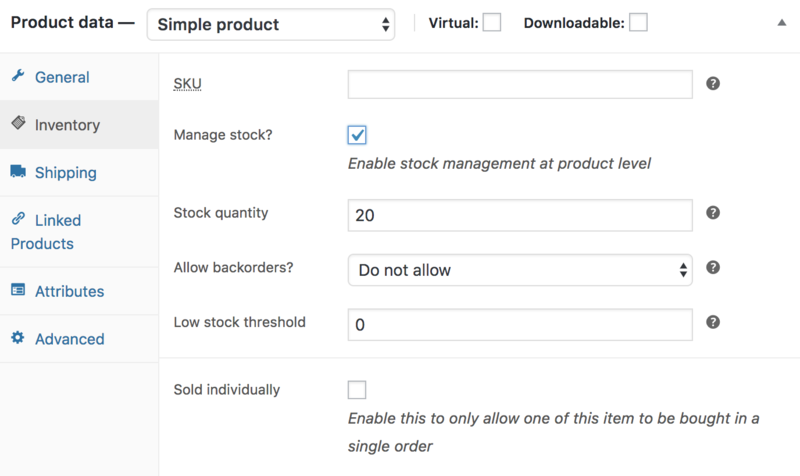 Enable Stock Management must be selected in Products Inventory Settings; otherwise, only the ‘Stock status’ option is visible in the Product Data Inventory box. Options when stock management at product level is disabled. You are responsible for updating the Stock Status. Options when stock management at product level is enabled. Enter the Stock Quantity, and WooCommerce auto-manages inventory and auto-updatesStock Status as Stock, Out of Stock or On Backorder. Select whether to Allow Backorders. Low stock threshold – Enter a number upon which you are notified. Tick the Sold Individually box to limit the product to one per order. Grouping – Used to make a product part of a grouped product. More info below at: Grouped Products. Video embeds (oembed) may be used, as of version 3.1x. Add a main product image and a gallery of images. More at: Adding Product Images and Galleries. Shop and search – Visible everywhere, shop pages, category pages and search results. Shop only – Visible in shop pages and category pages, but not search results. Search only – Visible in search results, but not in the shop page or category pages. You can also set whether the product is promoted in product categories, up-sells, related products as a Featured Product. For example, you could tick the Featured box on all bundles you sell. Other ways to set as Featured are described in the below section: Mark a product as Featured. A grouped product is created in much the same way as a Simple product. The only difference is you select Grouped from the Product Type drop-down. Go to: WooCommerce > Products > Add New. Scroll down to Product Data and select Grouped from the drop-down. The price and several other fields disappear. This is normal because a Grouped Product is a collection of ‘child products’, which is where you add this information. Having the choice to first create Simple products and add them to a Grouped product later; or first create a Grouped product and add Simple products later gives you flexibility to add Simple products to more than one Grouped product. Select the Grouped product you wish to add products to. Scroll down to Product Data and go to Linked Products. Click the products you wish to add. You can drag and drop to re-order the Grouped Products. Once you press Update, the new order will be shown on the product page. When adding a Simple product, you can tick the Virtual checkbox box in the product type panel. With Variable products this checkbox is moved to each variation. Enabling this, disables all shipping related fields such as shipping dimensions. A virtual product will also not trigger the shipping calculator in cart and checkout. For maximum flexibility, downloadable products also incur a shipping cost (if, for example, you were offering both a packaged and a downloadable version of a product, this would be ideal). You can also check the Virtual box if the downloadable product is not shippable.Note: If the Completed Order Email doesn’t contain downloadable links, see this Troubleshooting Guide. Select ‘External/Affiliate’ from the product type dropdown. This removes unnecessary tabs, such as tax and inventory, and inserts a new product URL field. This is the destination where users can purchase the product. Rather than Add to Cart buttons, they see a Read More button directing them to this URL. 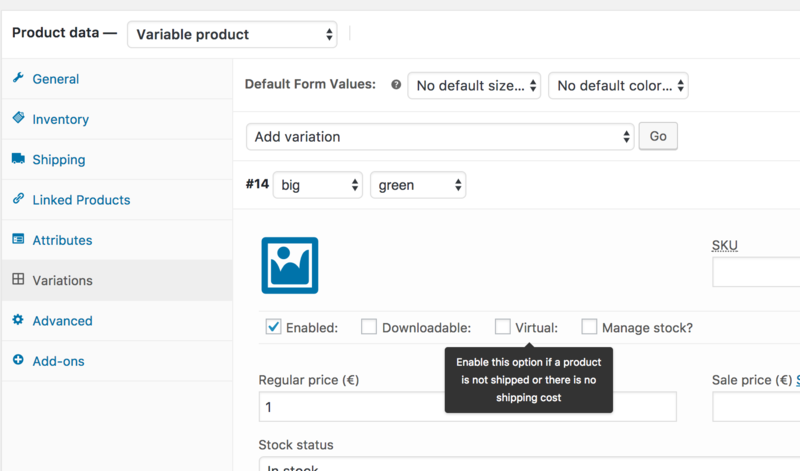 Go to WooCommerce > Products and look through the list for a product you wish to replicate, then click Duplicate. To mark a product as featured, go to: Products > Products and select the Star in the featured column. Alternatively, select Quick Edit and then the Featured option. Use the Filter function to get a product count, view products by type, or see which products are On Backorder or Out of Stock. Select a Category, Product Type and/or Stock Status, or any combination of the three. 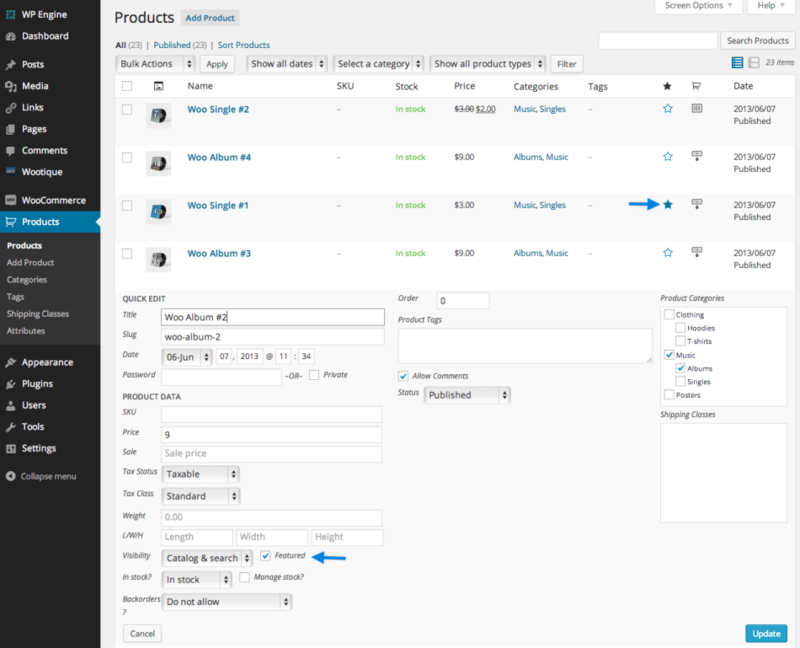 Sorting is different than Filtering, in that you can drag and drop products to re-order them. 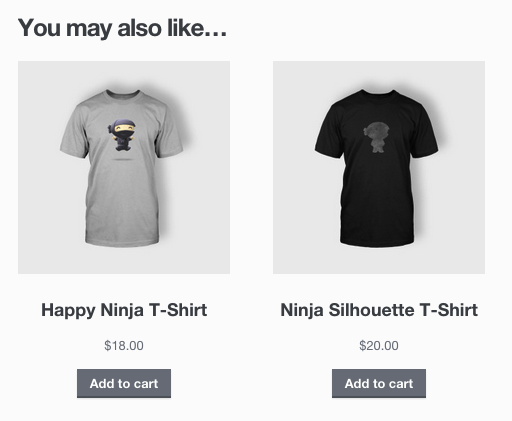 You can now drag and drop products in an order to your liking. 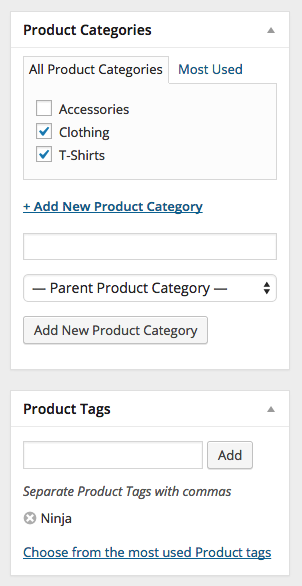 A WooCommerce Product ID is sometimes needed when using shortcodes, widgets and links. To find the ID, go to Products and hover over the product you need the ID for. The product ID number is displayed. Select whether to allow Backorders from the dropdown, if you are managing stock on a product. Use Advanced Notifications (separate purchase) to help notify someone other than the shop admin if backorders are placed. To allow backorders, the Stock status must be set to In Stock even though the Stock Quantity is 0 or less. Most payment gateways charge immediately. If you want to wait to charge customers for an item when it’s back in stock, use WooCommerce Waitlist (separate purchase) to email all users, notifying them that the item is back in stock with a link to purchase.